Unlike industrial robots for manufacturing, service robots come with their own specification requirements aimed specifically at the end user, and the most discriminating user at that—a human being. That’s why designing and manufacturing service robots takes a particular set of skills and engineering expertise. For example, when Kinova Robotics (Quebec, Canada) creates designs for this market, they bring with them years of experience in the field. And although they’ve modified their robots over the years, as new products and systems become readily available, they are able to produce higher and higher quality and more useable products. Using the latest technologies allows Kinova to continue to advance their offerings to the public. 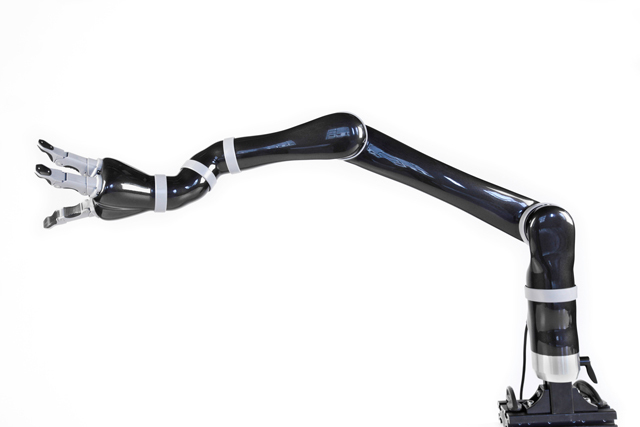 The company’s Jaco2 Robotic Arm has benefited from the company’s prior designs and forward thinking. Because of available technologies, the robotic arm provides a lightweight, quiet, and easily controlled device to the service industry. The Jaco2 robotic arm moves around six degrees of freedom through the use of six flat motors designed and manufactured by maxon precision motors (Fall River, MA). The arm was designed using six joints from a shoulder-type joint through to a functional wrist joint. The robot can manipulate a maximum payload of 1.5 kg at full extension, as well as a 2.5 kg payload at a mid-range extension. Both of these payloads are adequate for the needs of most disabled people in the process of living a normal life. The robotic arm device itself weighs only 5.3 kg, which was a very important specification for it to mount to a wheelchair without tipping it over. To maintain such a light weight, the company incorporated the lightweight and efficient flat motor series manufactured by maxon. Because the first three joints have to handle the highest torque for movement of the extended arm as well as for lifting items the user needs, Kinova’s engineering team chose to use maxon’s EC 45 flat brushless DC motors. These motors provide an impressive maximum continuous torque of up to 134 mNm (19 oz-in) in a small, compact, but powerful 70 Watt package. And since the Jaco2 needed to fit inside the robotic arm itself, there had to be less heat generated through motor operation—a huge benefit of the EC flat motors. Although the EC 45s can operate at very high speeds, that was not a necessary requirement for the Jaco2 application. In order for the robotic arm to be manipulated efficiently, the device only needed to move at a speed of 20 cm per second, which translates to about 8 rpm maximum for the actuators’ outputs (about 1100 rpm for the motors). The second three joints in the Jaco2 arm are also EC 45 flat motors, but are 30 Watt versions. Again, they were chosen to help keep heat dissipation at a minimum, since the motors were mounted inside the arm itself. Further, the flat motors were necessary because of the compact space allocated to the robot joints. 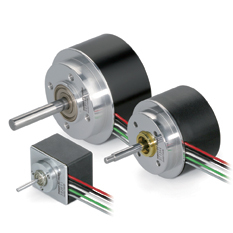 The motor efficiencies offered by maxon motors were a critical point in selecting the EC series for the application. Plus, according to one member of the engineering team, maxon was open to slight customizations, which allowed the team to fit the motors to the application perfectly. Through the use of slip rings that were designed and manufactured in-house, each axis on the arm has infinite rotational capabilities. Gearing for the arm incorporates harmonic drives translating to a 1:136 ratio for the large actuators in joints one and three, a 1:160 ratio for the large actuator in joint two, and 1:110 ratio for the small actuators located in joints four, five and six. The Jaco2 Service Robot uses three of maxon’s EC 32, 15 Watt motors to operate the finger of the robot. Kinova engineers provided an in-house design for the lead screw mechanisms incorporated inside the fingers. The linear actuators had to be very small due to the limited space available. The actuators were designed in-house because the company’s engineering team found that it was less expensive to design the lead screws they needed than to buy them off the shelf from another vendor. Although the flat motors have some minor degree of cogging, that did not affect the accuracy or other operations of the Jaco2 that would be critical to the user. Quiet operation of the motors only added to their overall appeal for the application, especially because of the human-robot interaction. The company wanted the device to be as transparent as possible to the user. All the motors in the arm are daisy-chained using a single cable that runs through the system. The tight form factor dictated the size and type of motor the company could use, and they were able to match their needs to maxon devices. The Jaco2 uses 18 to 29 VDC for operation at 25 W nominal power (100 W peak power). Control of the arm is performed through an RS485 (internal) and CANBUS (external) protocol. The system comes with two expansion card connectors for future use. The controller features redundant security on each actuator/finger, redundant error check in actuators and control system, position and error calculation performed every 0.01 seconds, Cartesian and angular trajectory control, and force and torque control options. 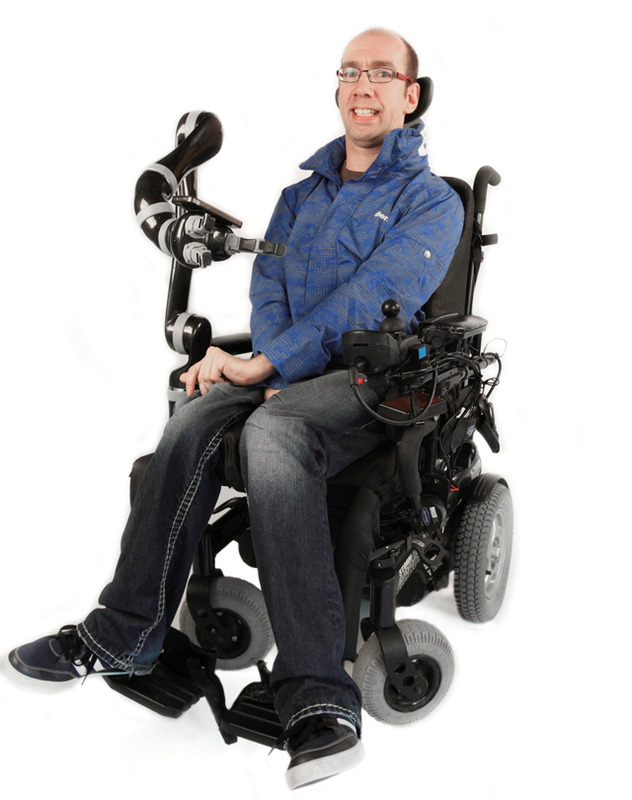 Each Jaco2 Robotic arm is controlled easily directly through the user’s wheelchair control or through a user-friendly joystick, which provides the precision necessary for the human-robot interaction needed for the disabled person. All the software required for the system was written by the Kinova Robotics engineering team so that the operation of the Jaco2 met all their in-house specifications and goals. The software runs on Windows, Linux Ubuntu, and ROS, and was written using C# and C+. Is There a Maximum Length of Encoder Cables? A proper choice of an industrial power supply can already solve problems and error messages caused by reversed energy. To understand the concept of high efficiency motors, you must first know how to calculate efficiency and the losses associated with the motor components themselves.